If you ask a thousand people to guess the weight of an Easter egg, the average mean guess will be very close to correct. But answers to some questions aren’t so easy to fact check, and sometimes we only get the answers we want to hear. If you Google ‘NASA moon mission’ for example, you’ll see compelling evidence of humanity’s most audacious adventure. But if you Google ‘moon landing hoax’ you’ll see equally compelling evidence that The Eagle didn’t venture beyond Stanley Kubrick’s Californian cinema set. Which do you believe? In this this case, the truth does not – cannot – lie somewhere in the middle. So pick your side. Fake news – and you can tell the considered tone of this piece, because we spell it without an exclamation point – often leaves two sides equally bewildered that the opposition could possibly believe the very words they are speaking. There are plenty of big and serious stories that are an invitation for us to cause offence, so let’s stick with a lighter story that happened this week: The National Trust has banned Easter. Except they haven’t. In fact, the National Trust (Director General: Dame Helen Ghosh, recently voted in the Tablet newspaper as Britain’s 4th most influential lay Catholic) repeats the word ‘Easter’ 13,000 times on its website. So peering through the pen strokes of ‘horrified’ (really!) commentators on social media, what does this tell us about how the news is consumed and passed on today? The first thing is to understand that social media is the news. If you want a comment from a member of the public, you can cherry pick a juicy one from Twitter/Facebook/LinkedIn/Instagram, and more (an ever growing list) without leaving the comfort of your desk. We did leave our desks and found a display of chocolate eggs in M&S that didn’t have the word ‘Easter’ on the box either, but shush! Don’t tell anyone. The point is: Twitter got upset by Cadbury and the National Trust, and that’s the story. Ironically, the rise of social media has gone hand in hand with the fall in trust of traditional media. It’s all in the way we consume news: when a big story is unfolding, many look to social media first, checking tweets from the police, public figures, colleagues, friends and family. Most people experienced the news about the horrors of the 9/11 attacks in 2001 through their television screens; whereas, for many of us, news about the recent Westminster attack came from our smartphone social media alerts, with many Londoners notifying friends that they were unharmed by marking themselves as ‘safe’ on Facebook. When America sneezes, the world catches a cold. Right now, America seems to be suffering from advanced pneumonia so who knows what that will mean for the rest of us? If a tweet from Trump says one thing and a tweet from the New York Times says another, who you believe might depend on who you like. Part of Trump’s attraction is the apparently unmediated nature of his communications; despite having the biggest job in international politics Trump claims not to be a politician. The shifting ground of what is and isn’t truth is partly the nature of a medium which blurs the line between the purely factual. There’s little arguing with a tweet reading, on the one hand, ‘Police cordon: explosion on 5th street’, and, on the other hand, opinion, ‘Muslim extremist’, ‘false flag operation’ (which may or may not be true). But both are asserted as facts before the full evidence is known and we find ourselves treating opinion as fact, and fact as opinion. Citizen journalism has the look of raw data – but we shouldn’t be seduced into thinking it is the whole story – or that it isn’t as editorially filtered as anything that comes out of a major news organisation (which is often where the most compelling citizen journalist turns up). In the UK, the Leveson Inquiry uncovered the worst parts of the media, but at least there is no secret about which organisation owns which newspaper. Online, social media timelines are populated with news stories that are chosen by – well, who knows? For example if an algorithm spots you are displaying the classic signs of floating between a choice of, say, two political candidates, you might find content appearing in your news feed that pushes you in one particular direction. Interestingly, at the time of writing this piece, bona fide news (we hope!) 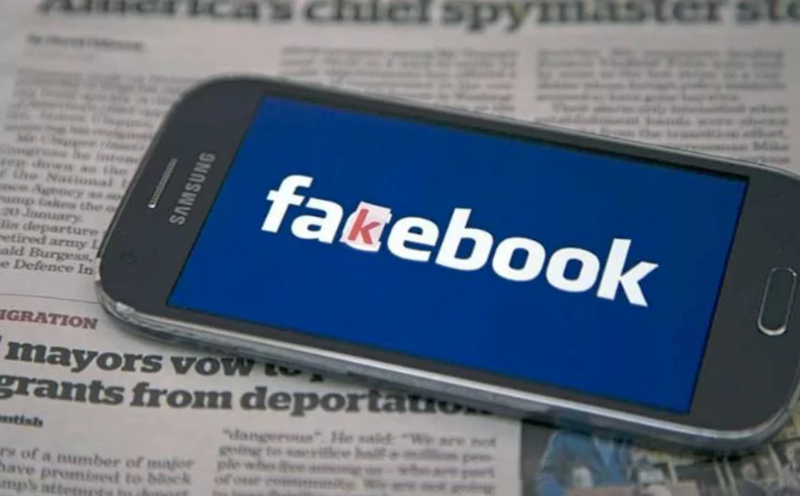 emerged that Facebook is to launch a new campaign advising users how to spot fake news stories. It’ll be interesting to see if this will have any real impact on the issue – we’re not overly optimistic considering that Facebook’s own trending topic algorithms, and incorrect targeted posts continue to be causing increased public distrust. Sceptics among us may be critical of news and information put in front of us, but it’s often more difficult to go to the next level and think about all the news stories we might not be seeing. If your personal contacts on social media are telling you that Easter has been banned by the National Trust then anything that the organisation does or says seems like no more than backtracking to save face after being found out. The problem with this is that innocent people and organisations can often look guilty if they haven’t been transparent or communicated well in the first place and sometimes no amount of counter evidence offered is good enough. The entire NASA archive, for example, isn’t sufficient to convince some that Neil Armstrong and Buzz Aldrin landed on the moon in 1969. 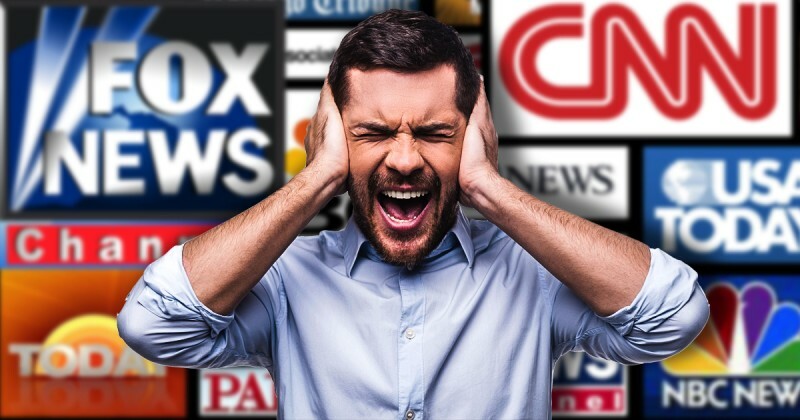 Politician, journalist or business owner, understanding the media’s own rules is essential; at a time when ‘the public’s trust in the media dropped to a level which matched distrust in government officials’ there is a clear opportunity for business leaders to establish themselves as credible voices. People still want to trust brands, to feel that in a changing world life tastes better with Coke and that every little helps in the supermarket. Companies have to live their promises, or they go out of business. And customers – all of us – know what authenticity looks like. We were encouraged; however, by the recent Times report that the founder of eBay is donating £80 million to tackle a “global trust deficit” and to combat fake news. It is reported that among the first to benefit will be the International Consortium of Investigative Journalists, which was behind the release of the Panama Papers. The trouble with scepticism for the sake of scepticism is that every moon landing can start to look like a conspiracy. And then the truth can be whatever you choose it to be. But, all things considered, we’re optimistic here at PS Programmes that, with the help of a more accountable and responsible media industry, we will all soon learn how to better differentiate between fact and fake news. There are plenty of po-faced conspiracy discussion websites and podcasts, but our favourite is the not-especially-safe-for-work-though-that-depends-where-you-work Parapod website. Winterval, the byword for the ‘war on Christmas’, was originally intended as a catch-all celebration of all the festivals (including Christmas) taking place in a culturally diverse city between November and February. Forget most of what you’ve read and check out the interview with the man responsible for Winterval.